← Info. With Regard to Ralph Day, for whom CDA 16A and CDP 16 is Named. Wednesday, Feb. 13th, 2019 Will Be Winter Haven’s Day to Shine!! I want to let you know of the success that was achieved due to the 100 anniversary committee’s event to promote new shufflers by providing Clubs the funds to host their events. 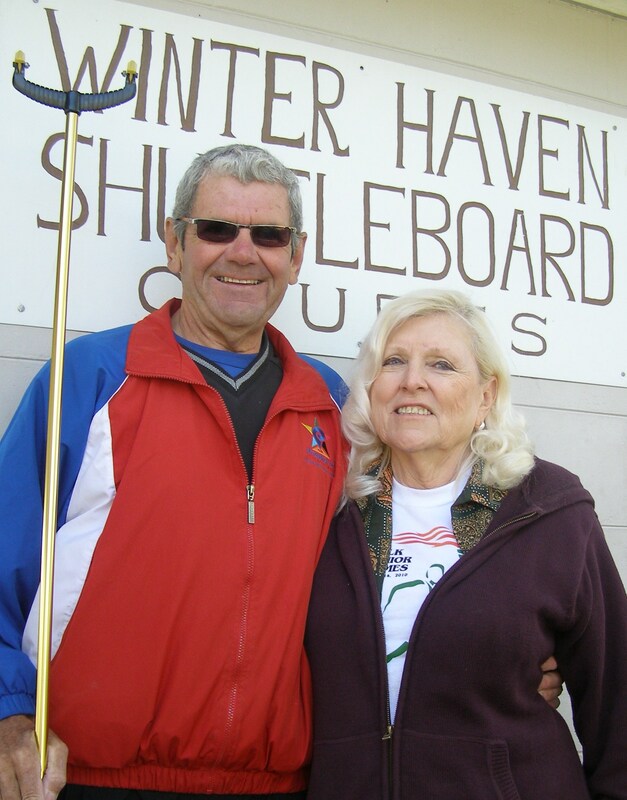 The Winter Haven Shuffleboard Club invited 14 parks to attend the Invitational non point Shuffler Tournament. This was for non point shufflers to become familiar with competition play as well as to see the facilities available at Winter Haven. We had 14 teams of 6 players’ total 84 shufflers. We had a great day with prizes throughout the day as well as lunch provided. At the end a plaque was presented to the winning team as well as prize money for the 13 other teams. The parks are looking forward to competing next year. We want this to be an annual event for new non-point shufflers. 6 New players joint the WHSC due to this event. Also Parks became aware of the facilities here in Winter Haven. We announced a follows up Seminar Hosted by Glen Peltier and the WHSC. Here we had 80 shufflers attend and we had 8 new members join our club. Because of the 100 Anniversary Committee enabling us to Host this Event we have a total of 14 new members. We hope to encourage more new shufflers to join the FSA by annual participation in this non point’s event for new shufflers. Thank you to the 100 anniversary committee for making this possible.